A neat infographic about the “proper” way to celebrate Cinco de Mayo was circulating Facebook and it prompted me to want to write something about it. Growing up, you were probably forced to take a language class in high school. While some of my friends opted for ASL or French, myself and a large majority of the student population enrolled ourselves in Spanish. In our highly Americanized Spanish classes, Cinco de Mayo usually meant some sort of class party, or really just a day that we didn’t have to do any real work. I can recall potluck-like festivities, movies, little get-togethers—things of that caliber. What we never seemed to learn, and what I am going to guess a number of you probably don’t know either, is the real background of Cinco de Mayo. The cop out answer would be that Cinco de Mayo is Mexico’s version of our Fourth of July, and that’s incorrect. So, let’s delve into a short little history lesson. Cinco de Mayo commemorates Mexico’s victory in la Batalla de Puebla over the French and Napoleon III on May 5th in 1862. Supposedly, the battle was not believed to be in Mexico’s favor, but they were able to pull through in the end. ***This is not Mexico’s independence day. The Mexican War of Independence began on Sepetember 16, in 1810 with the Grito de Dolores, and it is on this day, September 16th, that their independence day is celebrated. In certain parts of Mexico, Cinco de Mayo is often celebrated with historical reenactments, and sometimes parades with food and drink. Quite different compared to how Americans celebrate the supposed holiday. How did it come to be that way? Capilla del Rosario, Puebla, 2014. So, instead of perpetuating harmful stereotypes and getting obscenely drunk, wearing sombreros or ponchos or other dress, or doing anything plastered with the slogan “cinco de drinko,” read about the holiday. Educate yourself on it. If you want to celebrate by eating Mexican food, try something a little more authentic than your local Taco Bell. I recommend mole poblano which is a special dish in Puebla and quite possibly one of the best things I've ever consumed. 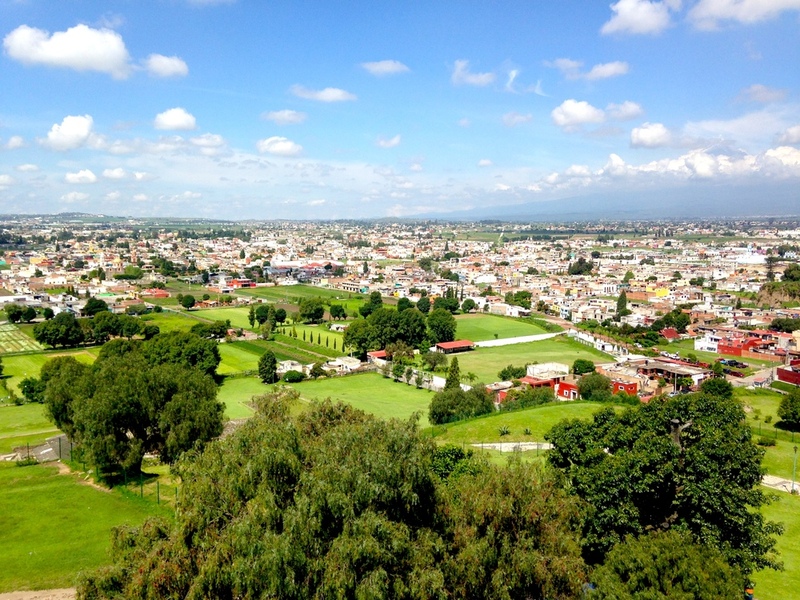 Maybe none of this will resonate with you, but I’ve seen Puebla, and I promise it and it’s rich and beautiful culture a lot more than just tacos and tequila. It's full of life and color and vibrance and incredible people and it deserves to be celebrated as such. All photos included in this post were taken during my study abroad in Mexico in the Summer of 2014.